Step through the front door of Open House and enter into the storied history of a single St. Paul home. 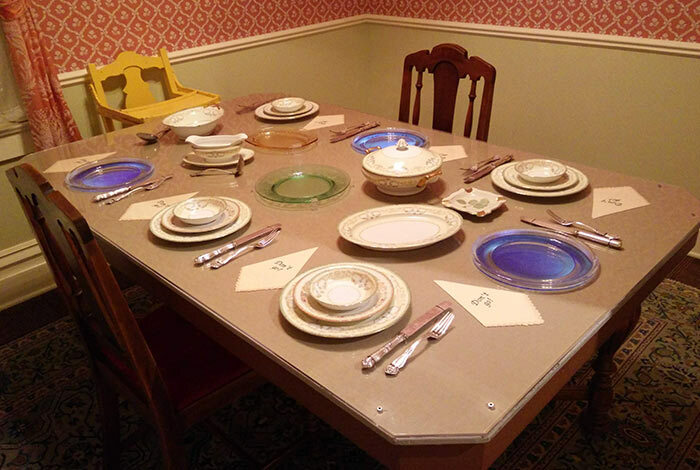 The families who once made their home in one house in St. Paul shine throughout this exhibit. 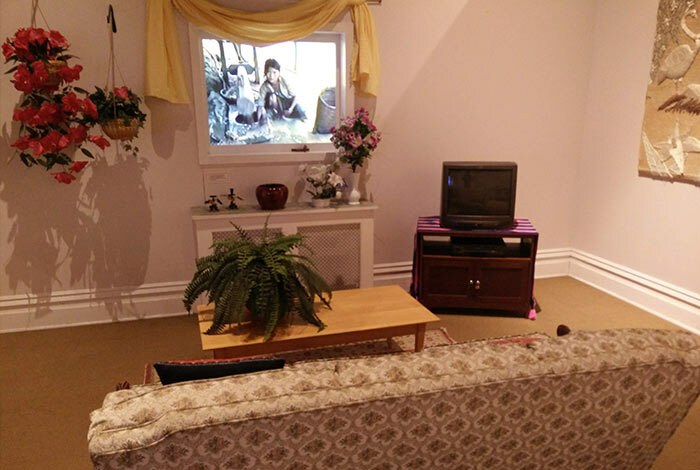 With a mix of personal artifacts and decade-appropriate decor, each room represents a different era of the house. Through the collected memories and memorabilia of the first German homeowners and the Italians, African-Americans, and Hmong who succeeded them, the everyday lives of these residents become so real you’ll want to stay for dinner. Peer through every nook and cranny, open every cupboard, and sit on every chair to piece together lives of the families who made this house their home. The vivid use of voices, photographs, and multimedia imagery bring the scene to life, with familiar settings producing surprises at every turn. Take a seat at the table and hear Grace Tinucci’s memories of meeting her future in-laws at a big family dinner. Touch a silver dollar and launch home movies with a family’s memories of saving coins for vacations across Minnesota. 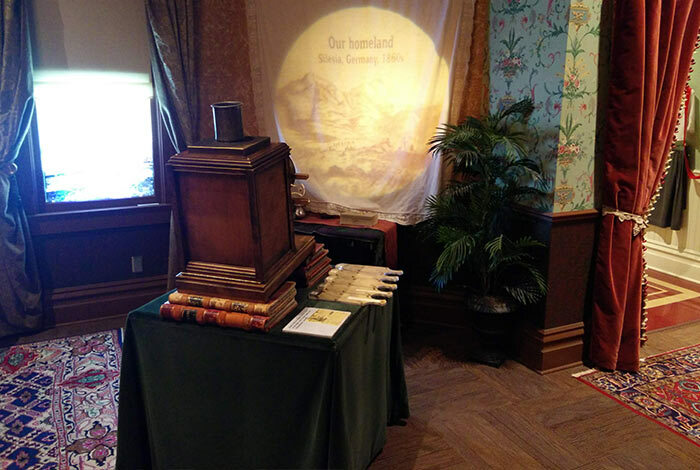 Run a magic lantern show in the parlor, play with Victorian toys, and see why Martha’s piano lesson went awry. In the kitchen, learn about 75 chickens, the war, and Michelina’s wedding day. In the living room, the view out the window dissolves into scenes of Laos and Thai refugee camps, visions from the journey Pang Toua’s family took to America. Uniforms hanging on hooks represent lives of the East Side workers – brewery and railroad workers, housewives, and hatmakers – who all made their home here. Home movies capture neighborhood life in 1960's St. Paul. 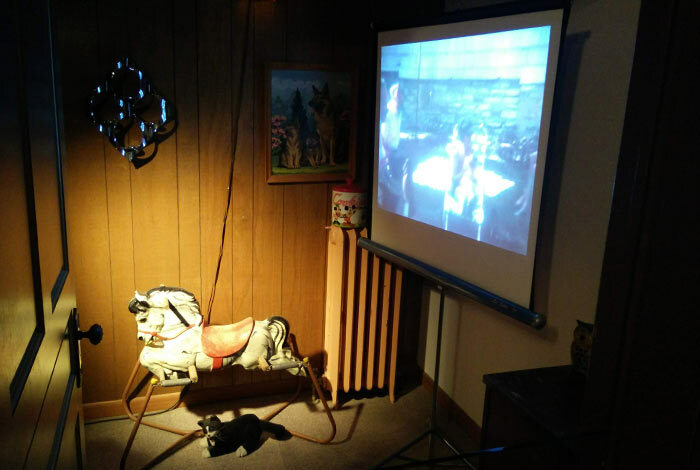 The magic lantern show in the parlor. 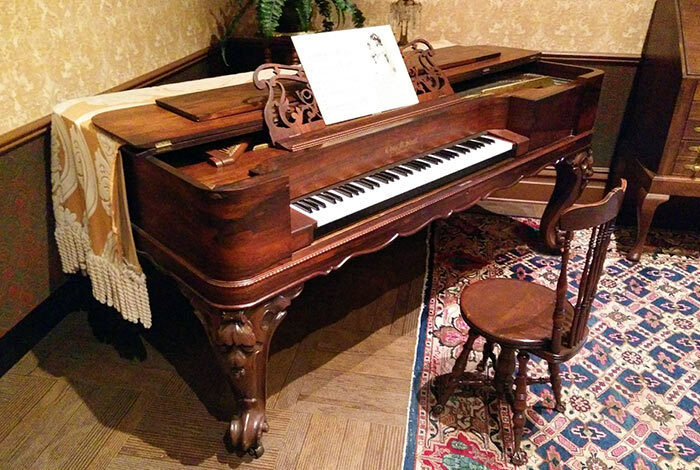 Hear a message from the past when you play the piano. The dining table comes alive with memories. The living room window displays scenes from Laos and Thai refugee camps. Major support provided by 3M Foundation, Fred C. and Katherine B. Andersen Foundation, The National Endowment for the Humanities and The Saint Paul Foundation. Additional support provided by McNeely Foundation and The St. Paul Travelers Foundation. Promotional support provided by the Pioneer Press.